DISC has evolved to provide our patients and athletes with evidence ­based Sports & Family medicine services by our growing integrated medical team of Sports & Family Medicine doctors, Chiropractors, Osteopaths, Physiotherapists, Sports Therapists, Rehabilitation Therapists, Movement therapists, Myofascial Therapists and Therapy nurses. Working under one roof to serve the patient’s highest needs and to devise a thorough treatment plan, our team focuses on prevention and integration to ensure a speedy and long term recovery. Acute sport injuries like muscle tears, tendon rupture, joint dislocation and bone pathology. Evaluation by doctor for your back pain, shoulder pain, knee pain, hip pain and ankle pain and any other musculoskeletal injury. Concussion /Head injury management according to the standards for elite athletes. Assessments and diagnosis of Children and adolescents with sport related injuries. Fatigue and recovery management for endurance athletes. Referral for blood tests to check for vitamins, minerals or any other abnormalities. Referral for radiology I. E Xrays, MRI scans and CT scan. Medical reports on your condition for insurance companies to establish further treatment. 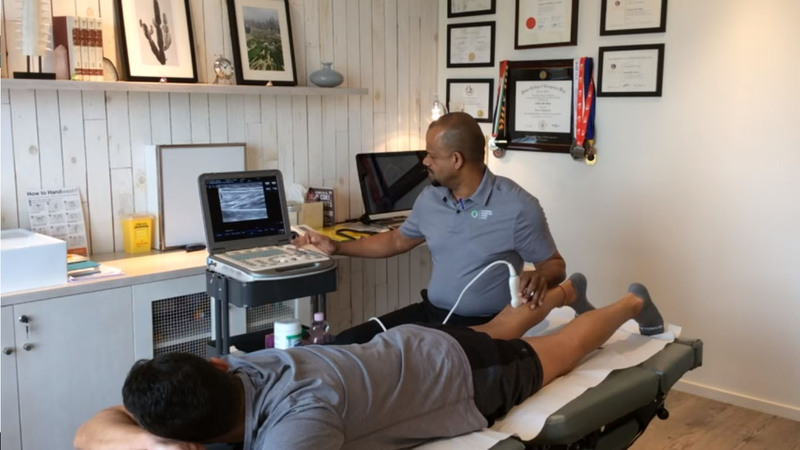 Integration of care between doctor, chiropractor, physiotherapist, rehab specialist and trainer to optimise your care and recovery.